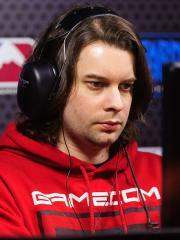 Andrew "mOOnGLaDe" Pender is an Australian StarCraft II player. mOOnGLaDe is presently ranked #2822 in highest overall earnings, and #42 in highest earnings for players from Australia. Out of the 25 tournaments awarding cash prizes that mOOnGLaDe had competed in, the largest amount was $6,000.00 from WCS 2012: Oceania on August 12, 2012. His 1st place finish makes up 20.06% of his total prize money won.